Yellowfin’s virtualized data preparation capabilities deliver guided processes for transforming your data into consistent, efficient formats suitable for exploration, analysis and report building. Forget the cost and complexity of preparing your data in multiple tools or environments. Experience how the broadest modern BI platform on the market can take you from data source to decision all in one integrated solution. 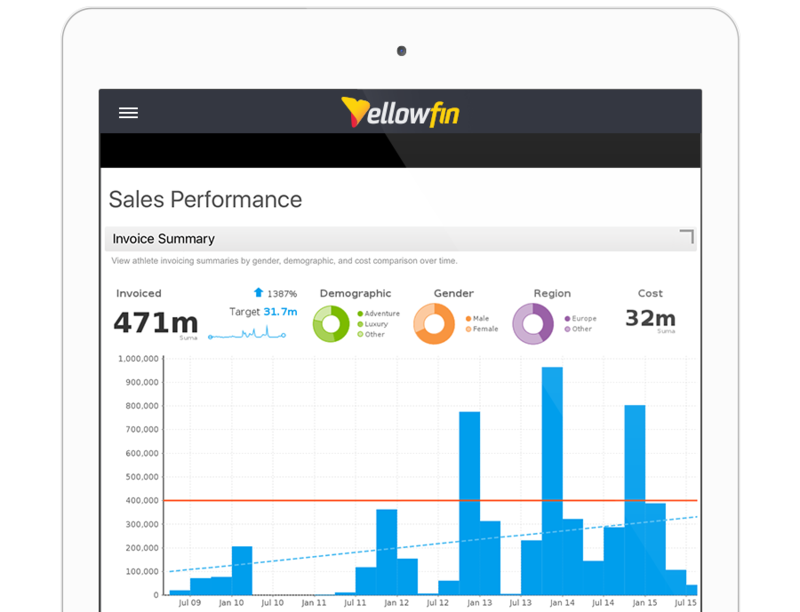 Gain complete data lineage – from source to dashboard – and achieve the greatest value possible from your analytics investment with Yellowfin’s data prep. 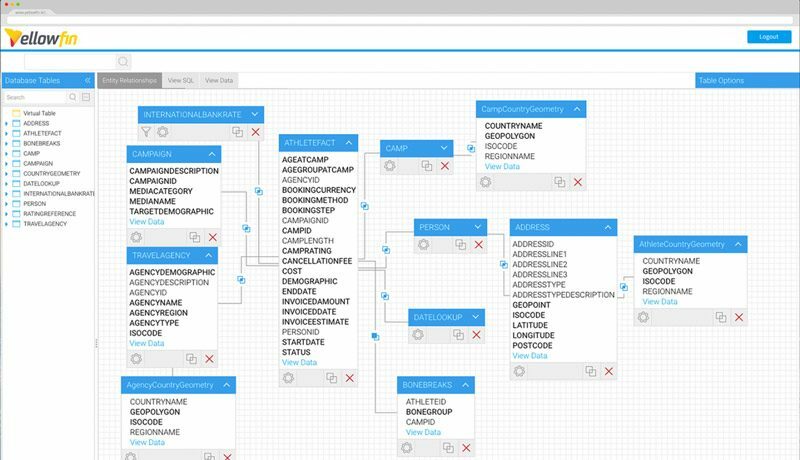 Data modeling performed within Yellowfin’s virtualized, integrated Data Preparation Module provides structure to your data. Guarantee reliability and consistency across all data sets used for enterprise reporting and analysis. Define once, and then use everywhere, to ensure the right decisions are being made from a single version of the truth. Confirm that the data being presented to users for analysis is complete, consistent and correct with data profiling and data preview capabilities. See the visual shape of your entire data set, including outliers and statistics on the values within each column. Embrace best practice modeling suggestions to quickly get your data in the best shape possible for reporting and analysis.ness performance. Experience truly interactive data exploration and uncover fresh insights with filters, brushing, series selection, drills and more. Clean all your data used for enterprise analytics – from data warehouses, to cloud applications and spreadsheets – in one place. Use Yellowfin’s virtualized Data Preparation Module to apply filters, formatting and case statements. Safeguard the validity, accuracy, completeness, consistency and uniformity of your data to avoid costly errors and uphold the quality of your data-driven decision-making. 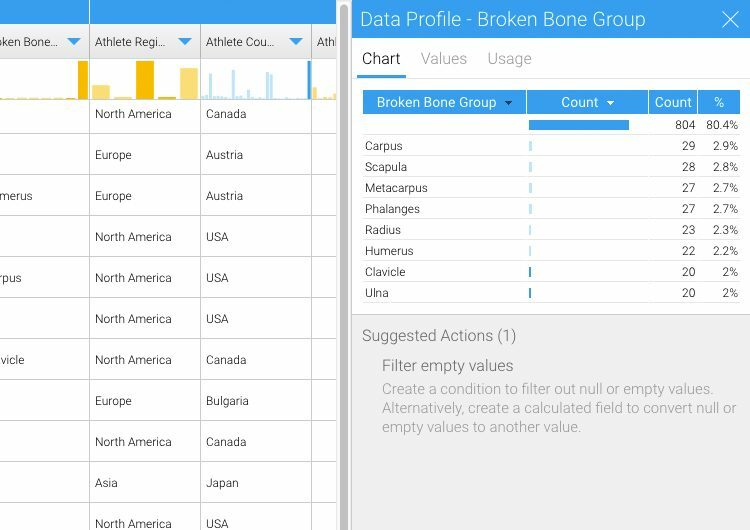 Easily shape your data within your BI platform and spend more time analyzing and acting on it. 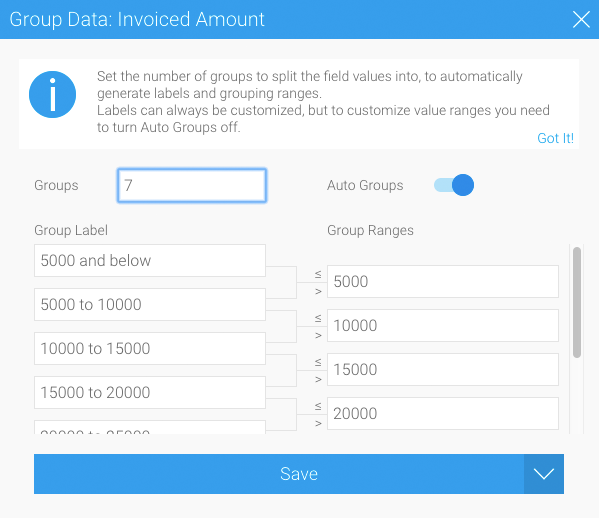 Use calculated fields, case statements and binning to quickly transform data into your desired formats for analysis. Create aggregations, new fields, custom groupings and more to deliver clean and consistent data sets that can be analyzed and combined to drive your analytics initiative forward in less time. Add context to your data to deliver deeper insights and unearth interrelationships between your data sets with data enrichment. 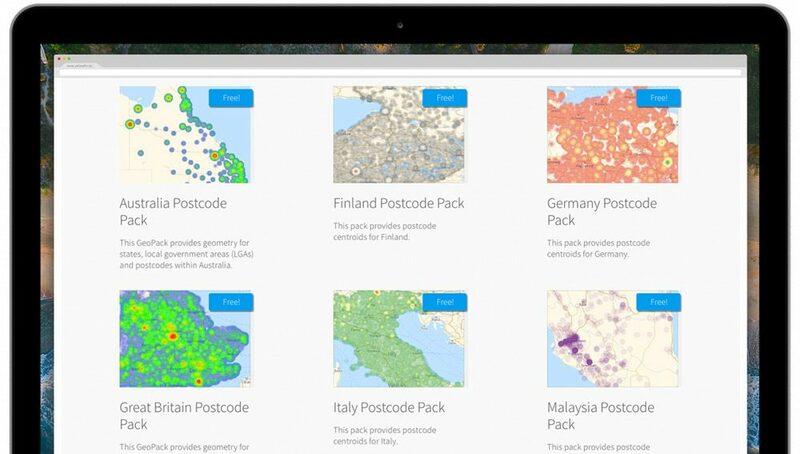 Effortlessly geocode address data and key demographic statistics to zip code level on-the-fly to quickly produce stunning maps and actionable insights. Provide access to your clean and prepared data layer for analytics with a single click. Your data analysts will have access to a governed data layer that they can trust. Role-based access and collaboration capabilities facilitate the sharing and reusing of data set preparations between data analysts.